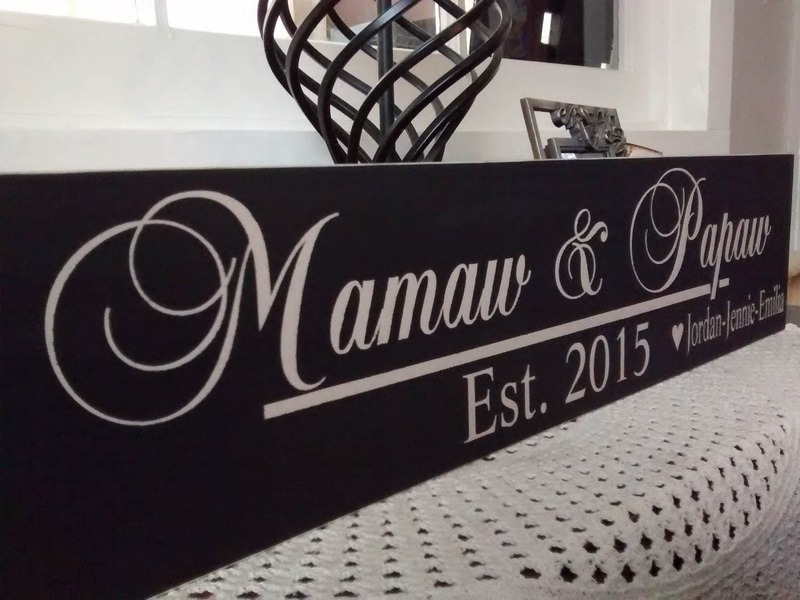 There's nothing as special as a personalized grandchildren sign , personalized with your touches are sure to make the perfect Mom Gift, our Grandparents Sign, makes a Personalized Gift for the special Grandmother in your life, Add Grandkids Names, do a special Pregnancy Reveal in your own special way. Our signs always get a heart warming reception and that lasts a life time. Please specify changes in comment box when ordering in notes to seller at check out. 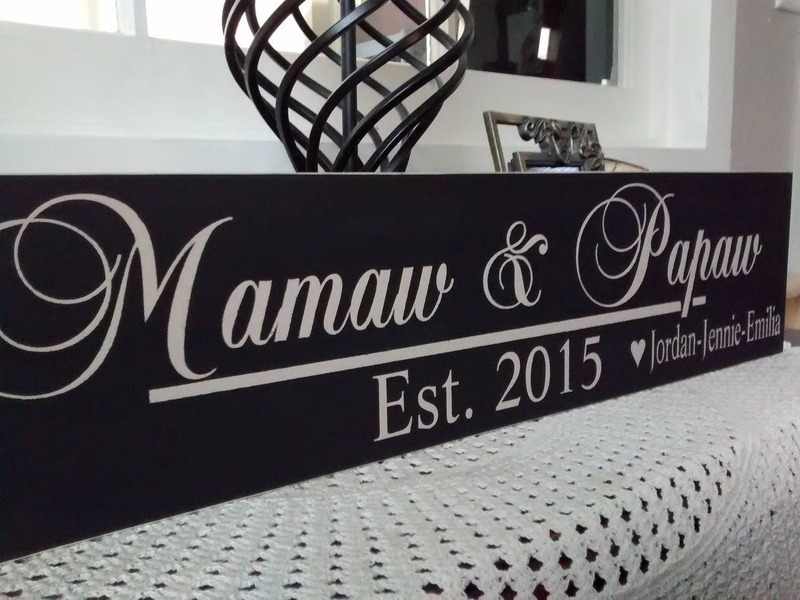 This is one of our best sellers, it make a great Mom gift, Mothers day gift for parents or grandparents. This makes the perfect gift that can be used forever. Here's a suggestion for a memorable gift, a picture in a frame of the grand children or Framed ultrasound, Get that WOW moment. 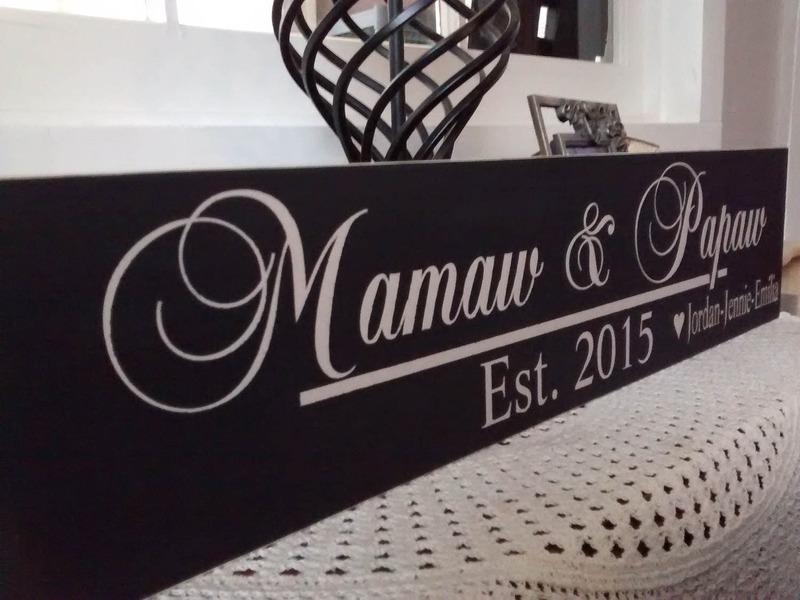 Our signs are hand made out of solid wood, we DO NOT use vinyl lettering, they are hand painted, we do not paint the back of our signs, the savings are passed on to you, each sign has a saw tooth hook for easy hanging. 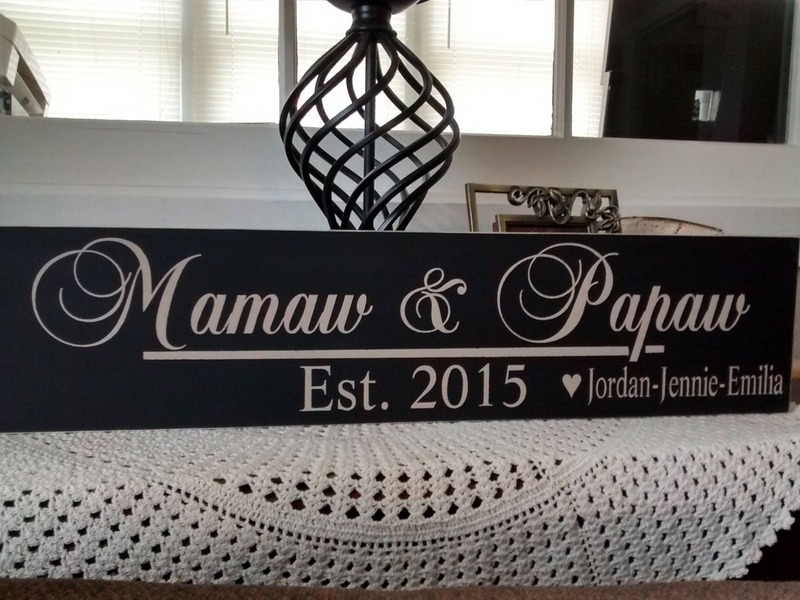 Don't forget both sets of grandparents, mom, etc., additional signs will ship for additional $3.25 each. Please visit us at www.etsy.com/shop/oakridgeprims We have a sign for all your needs and if we don't, just email us, we'll make one for you. We ship USPS priority at no additional charge to you. Exactly what I requested. Great quality!! My parents will love it!! Perfect! Just like the picture!! My dad and stepmom absolutely loved their sign. 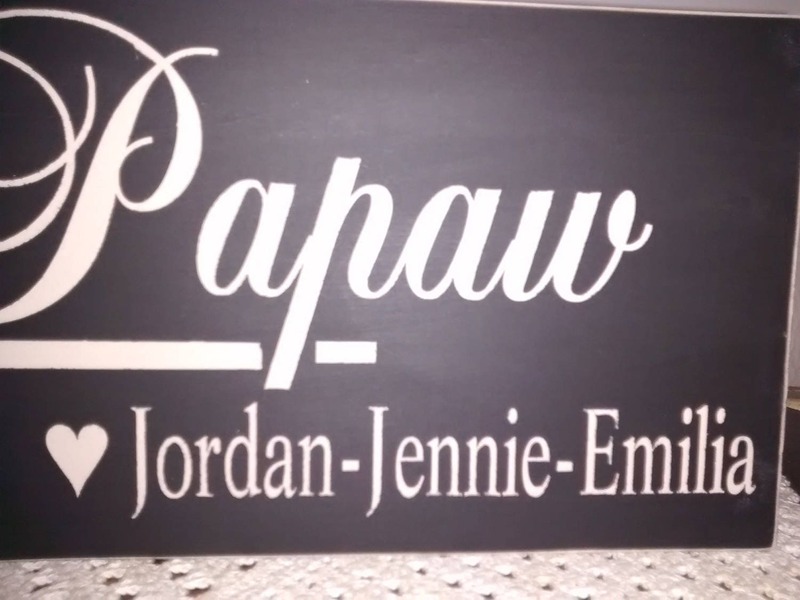 I was very pleased that it could be personalized with their special grandparent names. I was impressed with the arrival time, especially since it was a customized piece. I would recommend this shop to everyone.